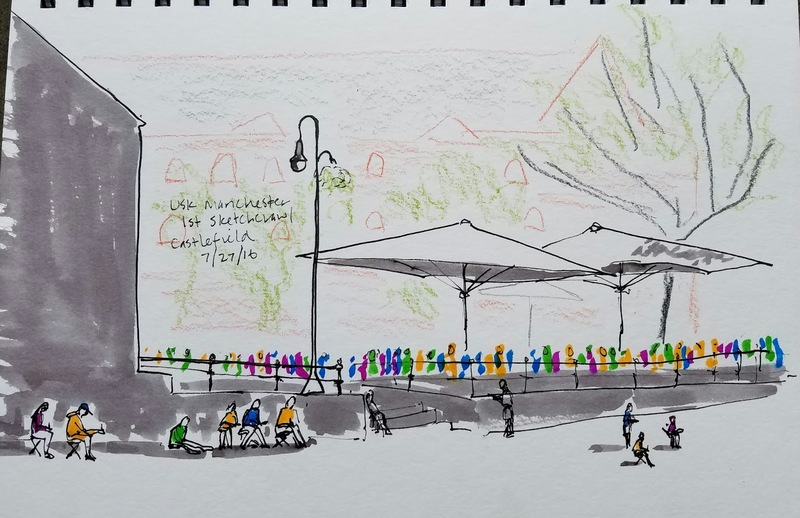 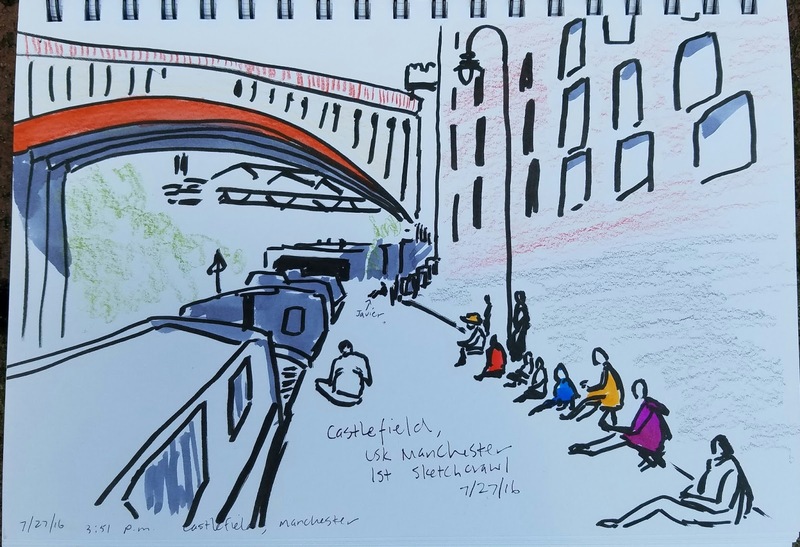 When I first walked out along the Castlefield canal and began seeing literally hundreds of sketchers doing what we all came here to do, I joyously remembered the feelings I experienced during my first two symposiums in Barcelona and Paraty. 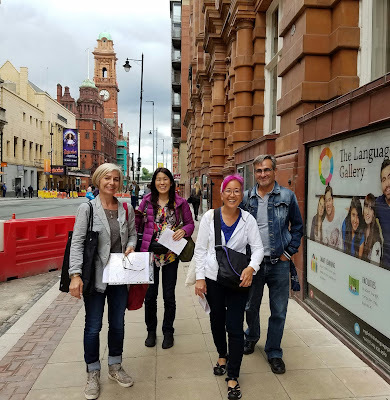 It's almost magical to see so many people from all parts of the world sharing the same passion. 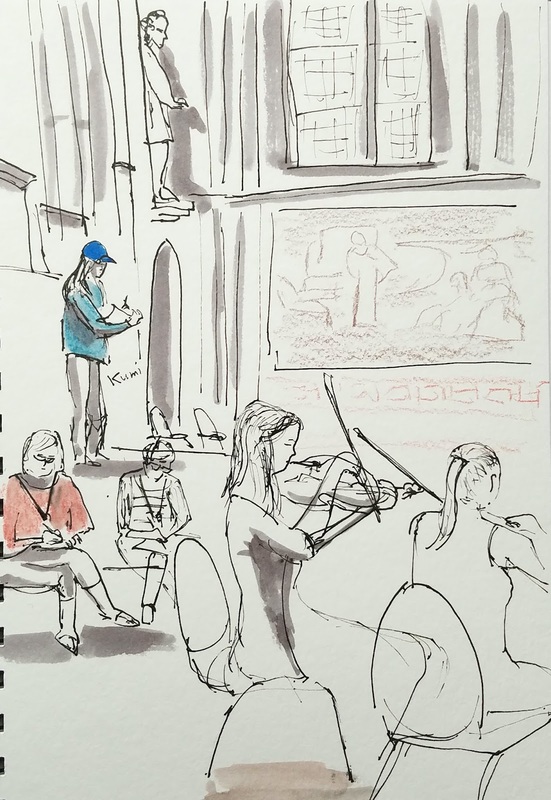 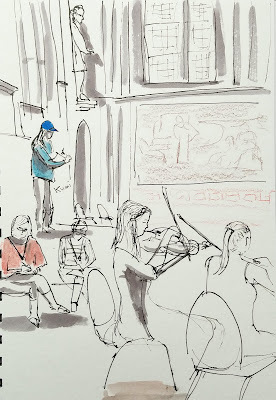 And at least for a few days, we are all in the same city that has welcomed us all here to express our joy for urban sketching. 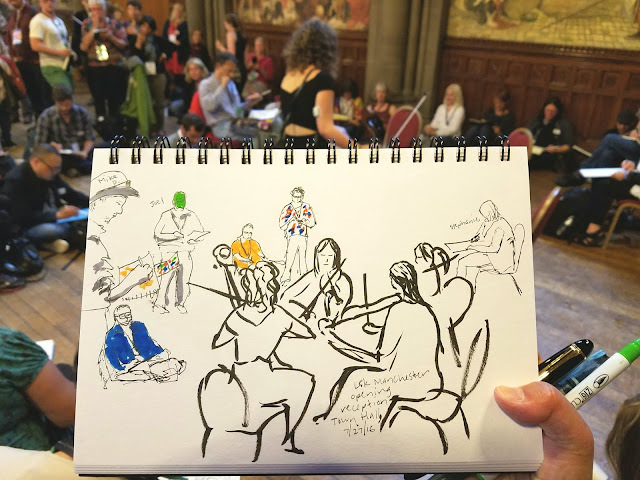 After the first official sketchcrawl of the symposium, we all went to the spectacular Town Hall for an opening reception. Sipping wine, we enjoyed (by that, I mean "sketched") a string quartet's performance. 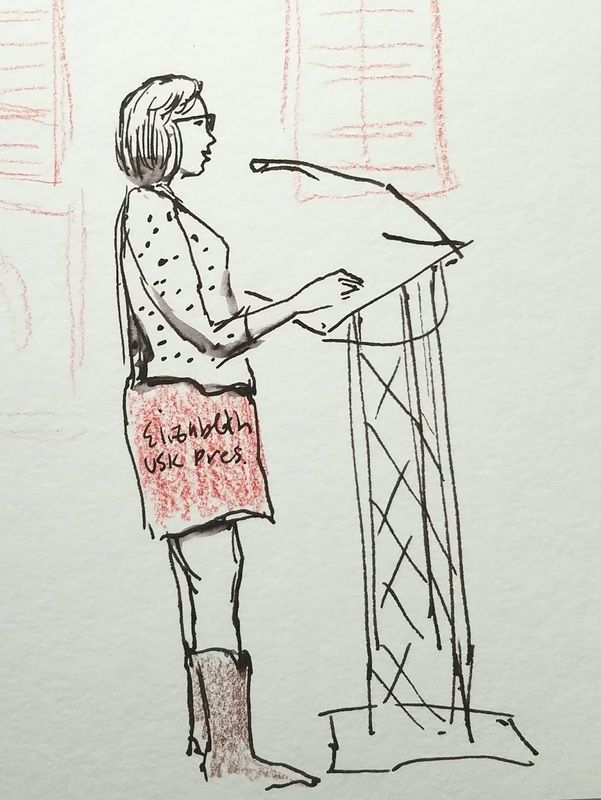 The program's speakers included our USk President, Elizabeth Alley, who kindly wore a sketchable polka-dot blouse. Your hard-working symposium correspondent team reporting (almost) live!